Jack B. Schudel, 72 years, of Defiance, passed away Thursday, September 13, 2018 in his residence. Jack was born March 29, 1946 in Defiance, Ohio, the son of the late Bernard K. and Irene (Flory) Schudel. He married Darlene Marihugh on November 16, 1963 in Defiance, and the marriage ended in divorce. He then married Renee Stupka on March 18, 2006, and she survives. Jack worked in the Maintenance Department for the Zeller Corporation for 40 years. He then worked for McDonald Design and Build in Defiance for 10 years. He also was the owner of Schudel Sidewalks, pouring many sidewalks in the Defiance Area. He was a member of Peace Lutheran Church, Defiance. Jack was a volunteer fireman for the Defiance Fire Department. He was also a member of the Defiance Eagles Aerie 372, Defiance Moose Lodge and the Defiance VFW Post 3360. Jack enjoyed fishing, woodworking, writing poetry and telling a great story. He also found great pleasure in working with horses and he loved his two cats, Chester and Squeakers almost as much as his children and grandchildren. Surviving is his wife, Renee of Defiance; five children, Candy (Glenn) Steed of Wheeling, West Virginia, Darla (Chuck) Snyder of Maryville, Tennessee, Sam (Maria) Schudel of Travelers Rest, South Carolina, Stacy (Joe Salinas) Schudel of Defiance and Kaitlyn Stupka of Bowling Green, Ohio; 11 grandchildren and three great-grandchildren; one brother, Timothy (Sanda) Schudel of Defiance; four sisters, Rosie Myers of Naples, Florida, Gwen (Jeep) Boyd of Napoleon, Jill Schudel of Bryan and Cindy (Richard) Gamby of Defiance. He was preceded in death by his parents and one grandson, Damien Schudel. Per Jack’s request, there will be no visitation. Arrangements are under the care of Oberlin-Turnbull Funeral Home, Bryan, Ohio. 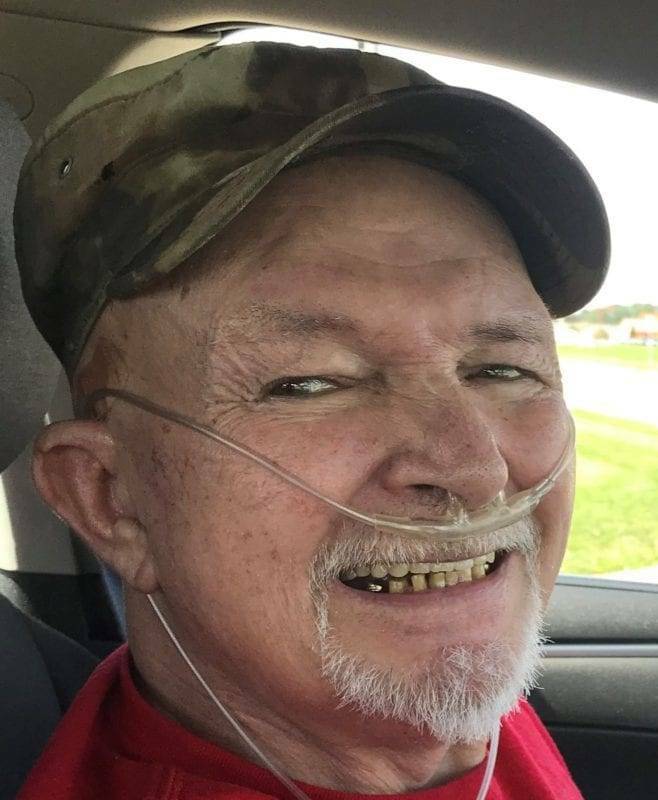 In lieu of flowers, the family has requested that those planning an expression of sympathy are asked to consider memorial contributions be made to The American Cancer Society or to Community Health Professionals Hospice, 6825 State Route 66 North, Defiance, Ohio 43512. Be the first to comment on "Jack Schudel (1946-2018)"